When Getaround launched in Washington, DC we were doing a ton of street marketing, including attending and sponsoring events. The DC City Open was a great opportunity because it had 100,000 plus attendees over 7 days, and many would be in our demographic. We had a booth, swag and collateral, and our logo was on their digital billboard. 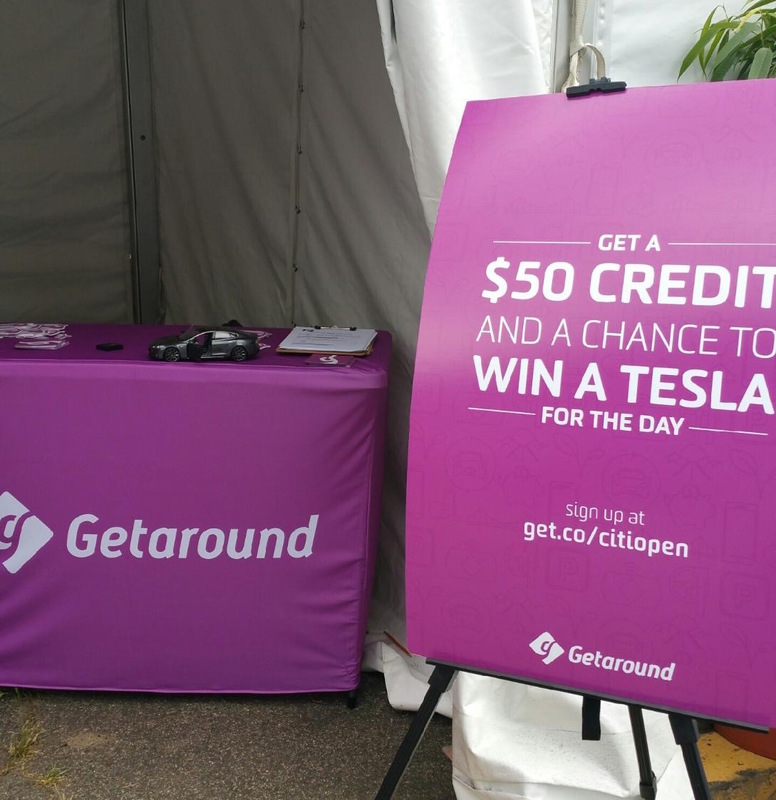 We were giving out $50 in free driving credit, but I wanted to spice things up a bit so I included a sweepstakes giveaway: Take a ride in a Getaround car and enter a to win a free day in a Tesla Model S.
To promote the sweepstakes I ordered custom signage from the Creative team, including a link to a unique, branded landing page. 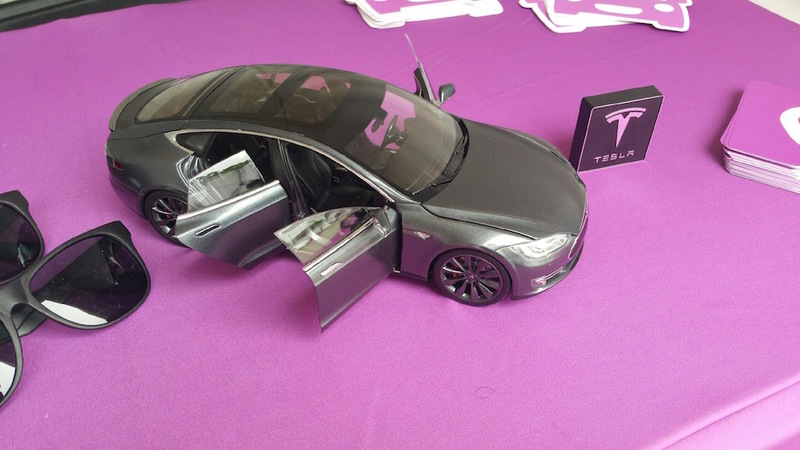 Since the CitiOpen would not allow us to have our Tesla on site, I ordered a Tesla Model S scale replica. This helped draw people into our booth and made for a great talking point.